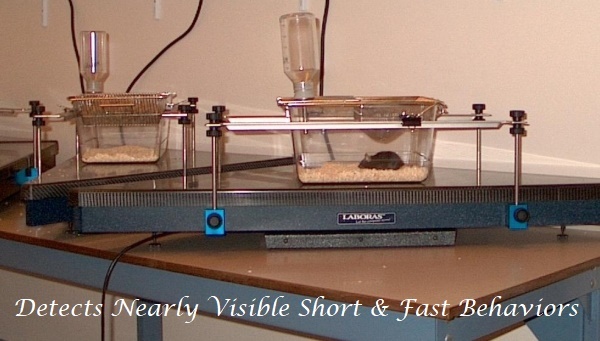 Advanced system for automated recognition of small laboratory animal behaviors, such as locomotion, grooming, eating, drinking, scratching, seizures, WDS, head shakes, startle, freezing, etc. vocalizations (USV calls). 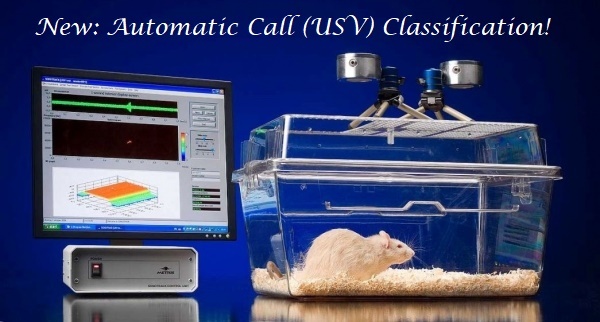 Enables automatic call detection, call classification, bioacoustic analysis and playback of ultrasound calls. Advanced sound attenuation chamber designed for USV and Sleep studies. It feautures a built in video camera, ventilation, door sensor, light sensor and is controlled by a touchscreen in the front. Powerful sleep analysis software for manual and automatic sleep stage scoring. Recognizes sleep stages such as REM, Wake, etc. 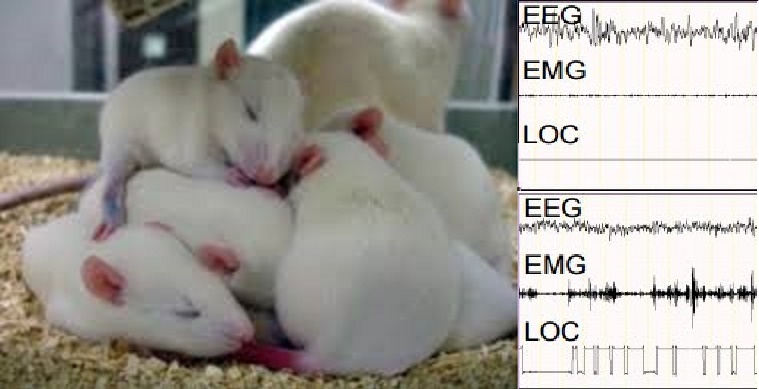 Investigates sleep disorders in animals.